Susanna has a unique gift of inner knowing, a ‘Sister of the Soul Light’ if you like. Working alongside Ascended Masters and Archangels she guides people to connect to their real soul path. 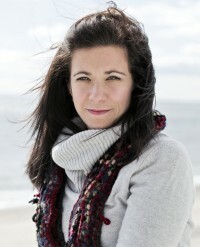 Clairvoyance, Clairaudience and Medium skills are all part of Susanna’s abilities. Susanna has a strong psychic gift that she was born with, going beyond her actual years to ancient Zen wisdom. Using pure psychic light and insight, Susanna has a soft, kind, sincere way about her, making it easy for people to relate and talk to her. A few years ago Susanna visited a monastery in the Himalayas, Nepal. She spent two weeks there, mostly in silent retreats amongst the monks. She was in awe of the respect they have for all mankind, animals and even insects. During this wonderful stay at the monastery she received a blessing; that allowed her to form a deep understanding of patience, compassion and love. She is now using this knowledge to enhance the experience her clients get during a reading. Receiving messages from Spirit through lost love ones brings great comfort to clients who contact her. Animals and pets often come through in her readings; animal souls tune in quickly, instinctively they know Susanna has strong senses in which to form a solid bond to communicate. Sharing her gift is Susanna’s greatest joy, she wants to use a soul language to find answers, to inspire and motivate people. Her wish is for you to leave your reading feeling content and connected with the world around you. Susanna is very, very good. Spookily good. Nice person as well. I recommend her if you want to find out what's going on.